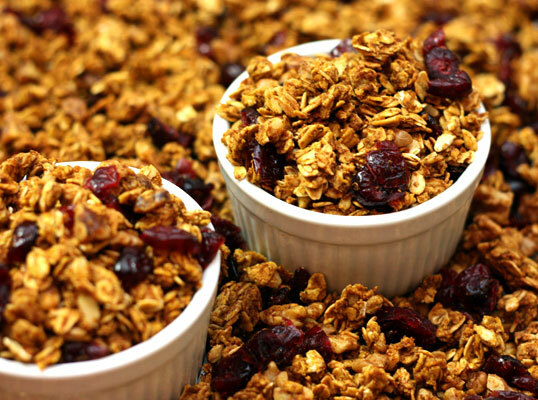 Pumpkin Spice Granola with Dried Cranberries one of my all time favorite treats! I know what you’re thinking — pumpkin season is over, let’s move on to the holiday stuff. Hear me out here: I just could not resist making this. I love granola. I eat it in cereal, I eat it as a snack, I put them in my Greek yogurt, I just love love love granola. Not to mention, I still had pumpkin pie spice leftover so I really did have to make this (it also made my apartment smell guh-lorious!). It’s great to have this around the house — AND most importantly, it makes a great gift ;) You can put this in mason jars and tie a nice ribbon around it (with the recipe, of course) and you have a beautiful and delicious homemade present! 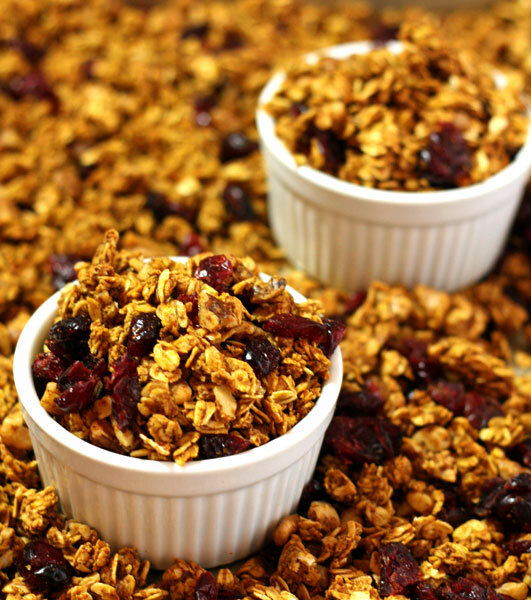 delicious granola for breakfast or to pair with yogurt! 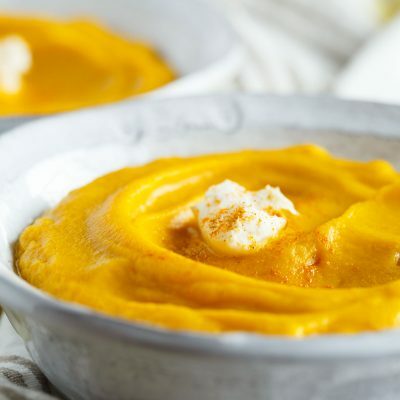 In a large bowl, mix together pumpkin puree, dark brown sugar, butter, vanilla, pumpkin pie spice, and salt. 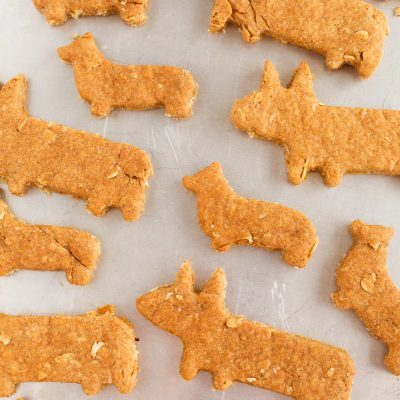 Mix in oats and walnuts or pecans. Coat it well with the wet mixture. Spread evenly on a large baking dish. Bake for 45 minutes, stirring halfway through. Remove from oven and stir in the dried cranberries (really meaning just mix it around on the baking sheet with a spatula). 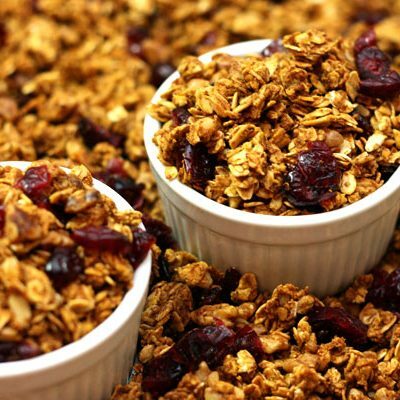 I love homemade granola…so much healthier than store-bought. These spices sound perfect! Pumpkin granola is my favorite! It’s never too late for pumpkin as far as I’m concerned! Looks fantastic! 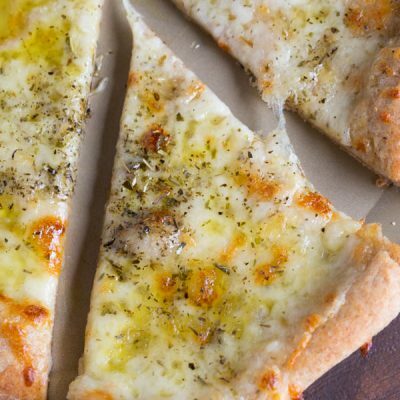 Feeling very hungry by looking at this, yumm! i LOVE finding new granola recipes. this one looks especially delicious. i adore pumpkin everything, no matter what time of year! Okay, this made my mouth water. If pumpkins were easily available where I live, I’d make this TODAY!